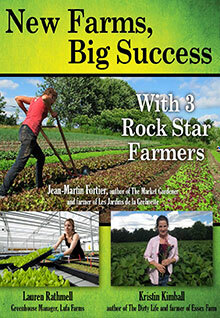 This inspiring documentary presents three amazing, ecologically responsible farms in the United States and Canada. Their unique business plans eliminate the middleman, use sustainable methods and few fossil fuels and show a decent living can be made. These new farming practices avoid the destructive trap of industrial food production and its financial burden. With the participation of Ban Ki Moon, the Secretary General of the United Nations and leading USA environmentalist, author and educator, Bill McKibben, this documentary provides critical information to develop an enduring, local food network in a time of climate change.